Dine Out Vancouver kicks off today with over 300 participating resturants in what has become Canada’s largest annual food and drink festival. Cooked up by Tourism Vancouver, the gastronomic event brings together our city’s most desirable culinary delights along with smashingly good BC wines, craft beer and cocktails. Lasting 17 days (from January 18 – February 3), the festival takes place throughout the city, where diners choose from a special three (or more) course prix-fix menu priced at $15, $25, $35, and $45. This year, 8 Gastown restaurants are participating with a fine assortment of scrumptious brunch, lunch, and dinner menus. Now’s the time to go dine out, be merry, and celebrate foodie culture in one of the best and tastiest neighbourhoods in the city. Vegetarian Options Available. Accepting Reservations. Al Porto is an intimate restaurant with great mountain views suited for all occasions. Steps away from the Steam Clock, Al Porto sets the bar high with traditional Italian cuisine in an impressive two level dining area. 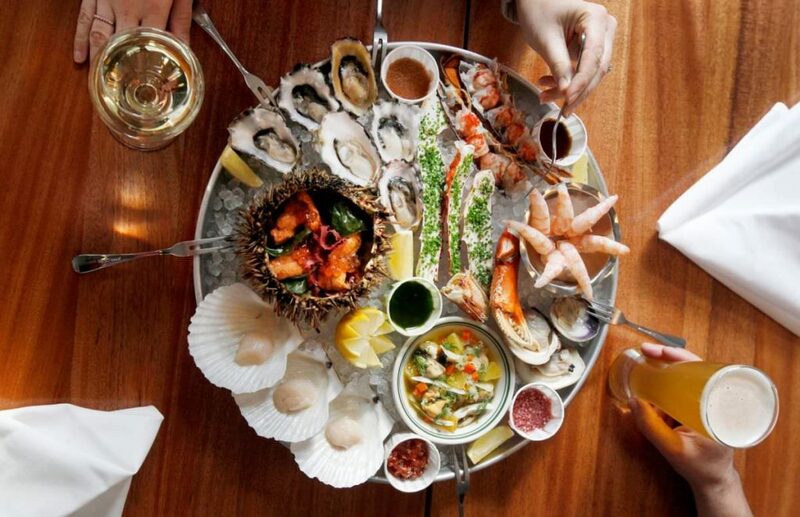 Satiate your appetite with delicious seafood, game and wood-fired pizza, accompanied with a critically acclaimed wine list that features over 300 varieties from around the world. Note: Reservations not accepted. First come basis. The Clough Club is a dark and dreamy place for cocktails and lighter fare. Named after a one-armed 19th century Gastown lamp lighter, the enchanting draw of this 110-year-old building will softly call, beckoning you in from Abbott Street to bask in its soft green neon glow. 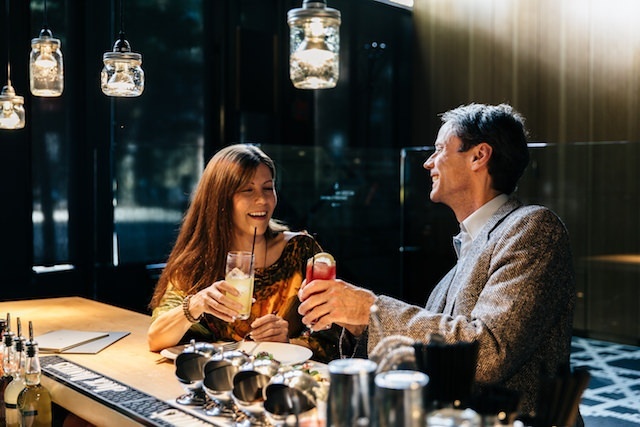 Coquille Restaurant will offer Aeroplan members and their dining guests, a complimentary glass of bubbles on arrival for their reservations during Dine Out Vancouver Festival 2019. A modern spin on a classic fish house concept, the 4,100-square-foot restaurant offers a creative menu of quintessential seafood and shellfish dishes accompanied by a wide-ranging drink menu featuring craft beer, handmade cocktails and notable BC and international wines. 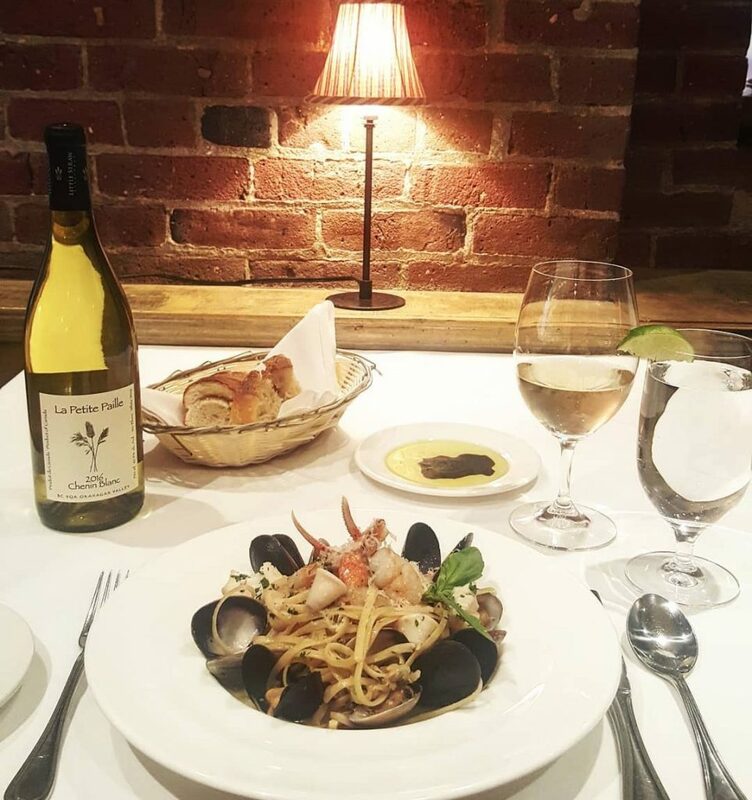 With seating for 100 in an expansive dining room, bar and lounge appointed with nautically-inspired décor, Coquille Restaurant allows locals and visitors alike to enjoy a relaxed-yet-elegant dining experience for lunch, dinner, happy hour and late night drinks. Join Coquille Restaurant’s Chef de Cuisine, Chris Janowski and his team in welcoming San Diego’s Chef Jason McLeod of Ironside Fish & Oyster. 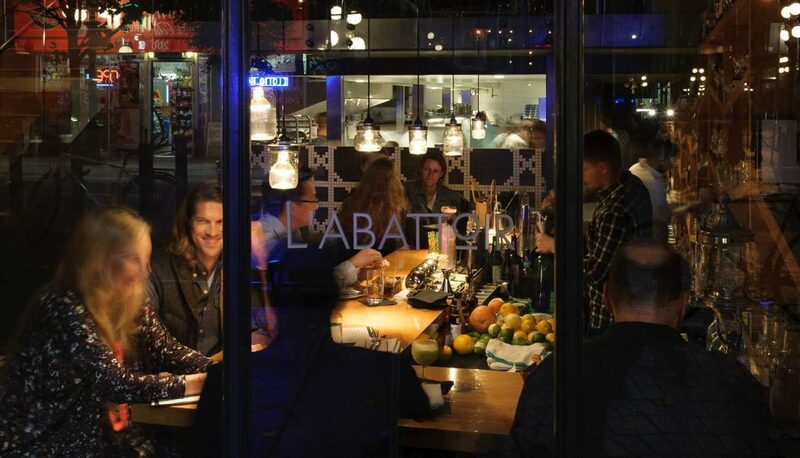 Known as one of the city’s best and number 13 on Canada’s Top 100 restaurants, L’abattoir highlights the finer points of eating and drinking in an informal setting. Chef Lee Cooper’s French influenced West Coast fare is paired with Restaurant Director Lisa Haley’s eclectic wine program to offer a truly unique and memorable dining experience. Set in a refurbished brick and beam building that combines classic French tile work with industrial fixtures, natural wood, and glass and steel finishes, the restaurant offers a bar and lounge setting, elevated dining room and plush, sun soaked atrium. Gluten-Free Options Available. Accepting Reservations. La Mezcaleria is the only restaurant in the city that specializes in offering a wide variety of mezcals, along with top shelf tequilas and cocktails inspired by the different regions of Mexico. The food here is traditional Mexican and is made using locally sourced organic ingredients and ocean-friendly seafood. 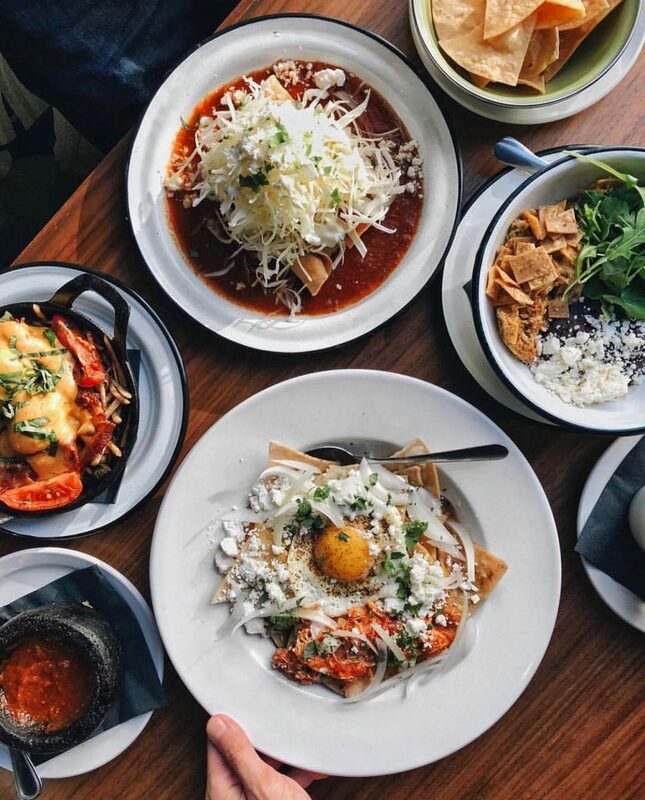 Dishes at La Mezcaleria celebrate the communal aspect of shared food and the restaurant caters to a number of different dietary tastes with gluten free, vegetarian, vegan and carnivorous options. Gluten-Free and Vegetarian Options Available. Accepting Reservations. 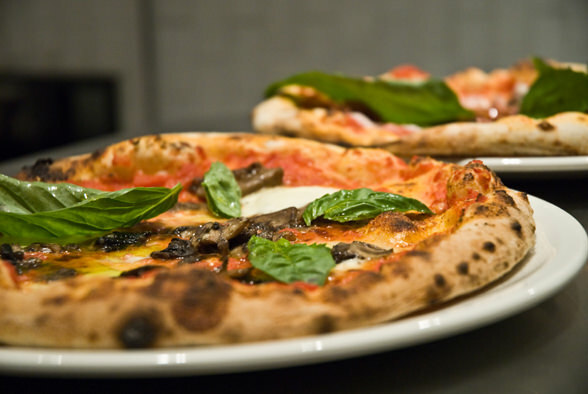 Nicli Antica Pizzeria is the first VPN certified Neapolitan pizzeria in Vancouver. Located within a century old building where aged brick walls stand silently, allowing a contemporary bright interior to dance subtly in and among modern light fixtures and furniture. 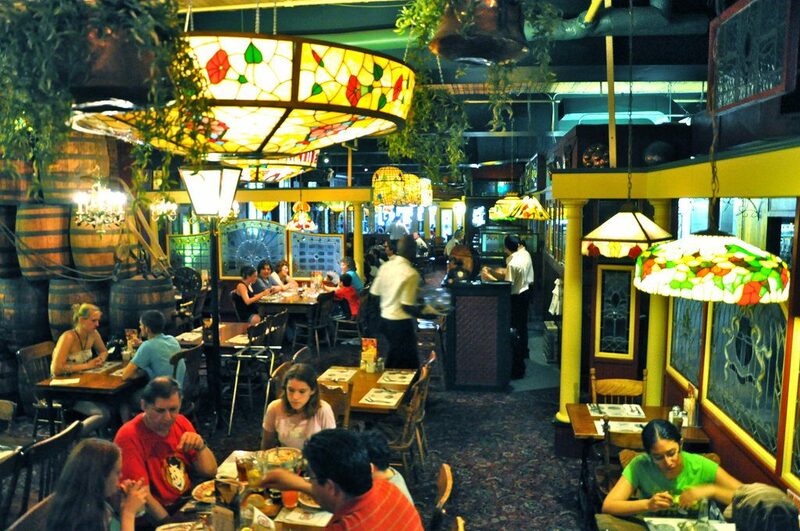 The atmosphere is refreshing, comfortable and spacious. A balanced wine list pairs nicely with wood fired pizzas, old world recipe inspired antipasti and insalati and hearty pastas. Linger long after dinner with an aperitif or espresso and a good helping of both house made tiramisu and panna cotta. Established in 1988, Water Street Cafe is a Gastown cornerstone overlooking the world famous steam clock. The high ceilings and large windows make for a bright and casual atmosphere. 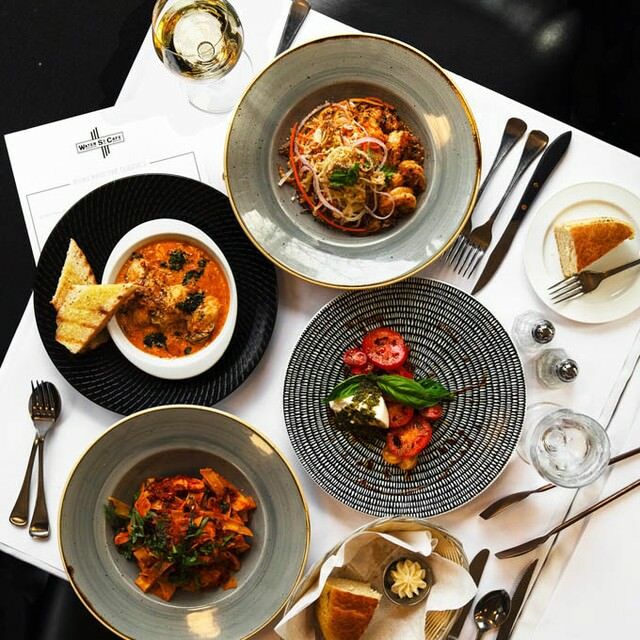 Water Street Café focuses on using only the freshest of ingredients and preparing all items in-house, from daily baked fresh breads to exquisite desserts. The superb menu features the freshest of seafood’s, creative pastas and daily specials all made with imagination and flair. 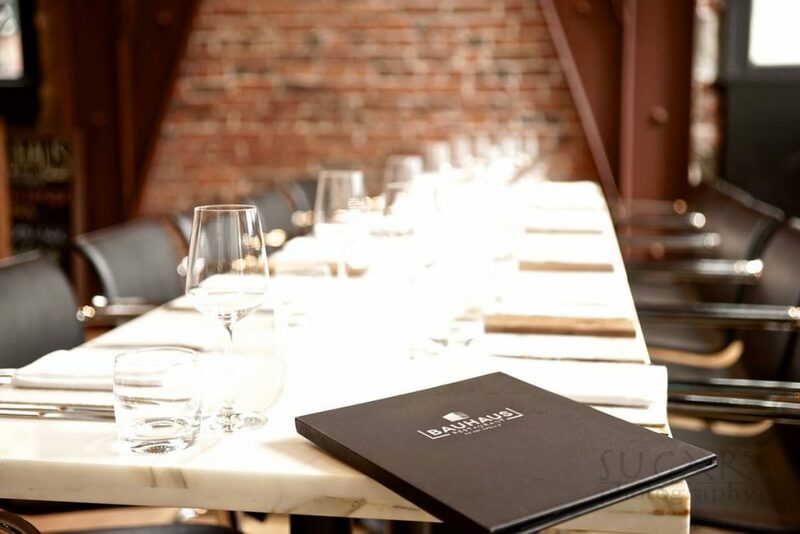 Check out these other delicious events happening in Gastown for Dine Out Vancouver! Bauhaus executive chef team wants you to enjoy an evening of friends, family, and conversation at Bauhaus Stammtisch. Stammtisch is a German word that refers to a friendly get-together or table reserved for regular customers in a restaurant. The event is part of this year’s Dine Out Vancouver Festival. Guests will be seated at a family style long table and enjoy a beautifully crafted 4-course traditional German menu with a BC & German wine pairing. Chef Tim Schulte is inspired by his childhood growing up in Germany and eating every meal together with his family and the connection this had on his memory of the meal. Connecting and conversations are what the Bauhaus Executive Chef Team Tim Schulte and David Mueller would like for their guests to experience with Bauhaus Stammtisch. Join Bauhaus Restaurant’s Executive Chef Team, Tim Schulte and David Mueller, in welcoming Dusseldorf’s Michelin Star Chef, Sascha Stemberg of Haus Stemberg. *ALL Inclusive – includes welcome beverage, multi-course dinner, tax, gratuity and ticketing fees. Please note there are two ticket options: with or without wine pairings. This event offers a fixed menu, no substitutions. Please be sure to purchase your ticket etiher with or without a wine pairing. We are going global again! We’ve reached out to our friends in the global culinary community and have invited them to Vancouver. The result? Five of the world’s culinary best join us for a series of delicious collaborations with our own city’s top talent. On January 30th Bauhaus Restaurant will be hosting a special event together with Michelin Star Chef Sascha Stemberg from Haus Stemberg in Germany. 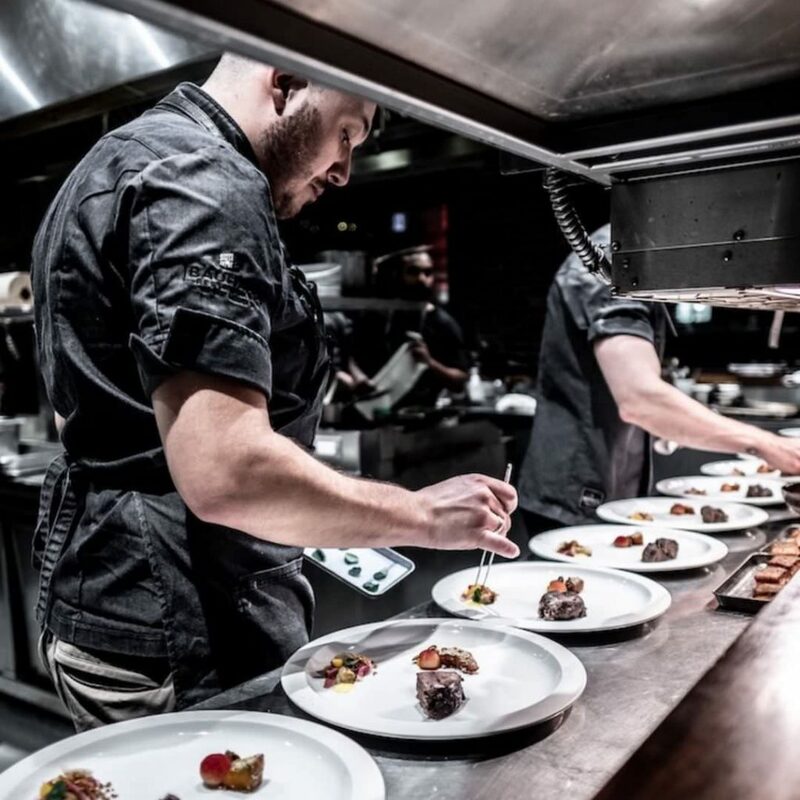 The collaboration dinner all started on Instagram the popular photo-sharing platform that has become a new way for chefs from all over the world to connect.